SHANGHAI -- China will steeply cut import tariffs for cars and components, the country's finance ministry said, opening up greater access to the world's largest auto market amid an easing of trade tensions with the U.S. 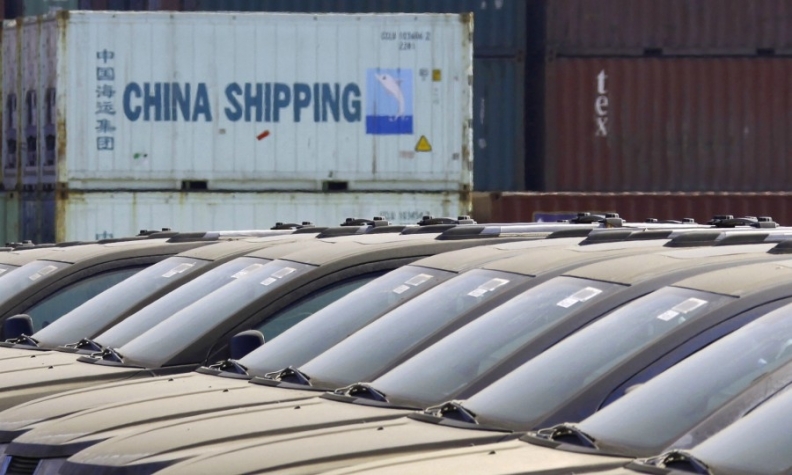 Import tariffs will be cut to 15 percent for most vehicles from 25 percent from July 1, the Ministry of Finance said in a statement, adding this was part of efforts to open up China's markets and spur development of the local auto sector. A small number of imported trucks are taxed at 20 percent currently. The move will be a major boost to overseas carmakers, especially helping premium brands such as BMW, Tesla, Audi and Mercedes-Benz close a price gap on local rivals. BMW said it would look at its prices and said the move was a "strong signal that China will continue to open up," while Audi said it welcomed the "further liberalization and opening" of the Chinese market. A Nissan executive said: "Benefits are huge for our business, especially Infiniti," referring to the Japanese automaker's premium car brand. An executive at Nissan's Chinese joint venture said it was "great news" but that the biggest beneficiaries would likely be German luxury carmakers including Volkswagen Group's Porsche and Audi brands. "That's just because of the volume of imported cars they sell," the person said, asking not to be named. Toyota said it would adjust retail prices for imported cars that benefited from the lower tariffs to provide Chinese consumers with "competitive" products. Import tariffs for auto parts would be cut to 6 percent from mostly around 10 percent, the ministry said. China's high tariff on vehicles - versus a 2.5 percent U.S. levy - has been a key focus of U.S. President Donald Trump's administration amid a simmering trade standoff between Washington and Beijing. Trump has said previously the 25 percent tariff amounted to "stupid trade," while auto industry leaders such as Tesla's Elon Musk have said that Chinese restrictions on foreign automakers created a skewed playing field. China and the U.S., however, made a breakthrough in trade talks after negotiations in Washington last week, stepping back from the brink of a global trade war and agreeing to hold further talks to boost U.S. exports to China. China pledged last month to open up its auto market, announcing a timeline to remove long-standing caps on foreign ownership of automotive ventures.